Posted on July 1, 2013 by admin in Attractions, Blog. Lighted only by thousand of candles you walk through the Siq to the Al Khazneh is a truly amazing way to see the beauty of Petra. You’ll listen to the haunting Bedouin music and stories in front of the Treasury. 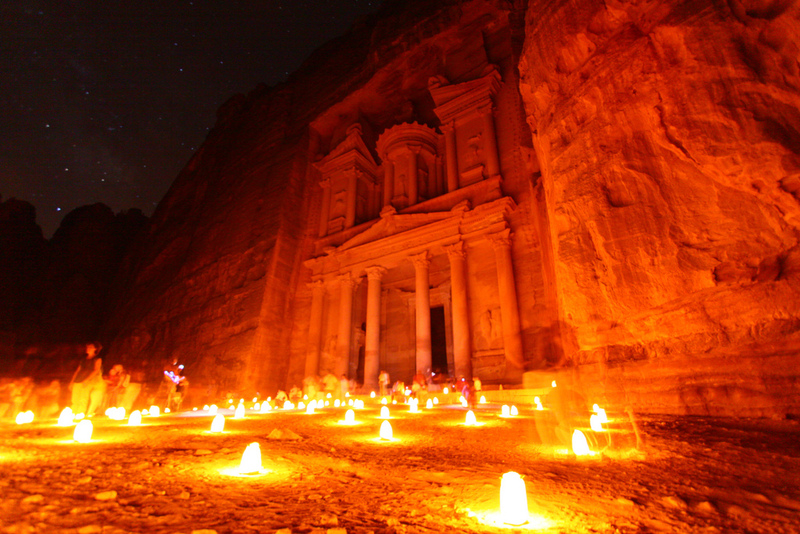 This special event will put you into Nabatean times, come and experience Petra by Night. Petra by night is scheduled every Monday, Wednesday and Thursday only, departing from the visitor’s center at 8:30 pm and last up to 2 hrs. 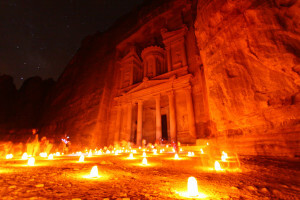 Whether you are staying in Petra or in Amman don’t miss the opportunity and include Petra by night in your itinerary. How we create your Jordan tour?